A Handy Table was built for a small coffee table, but would work equally well as an end table, children's table, or night stand. 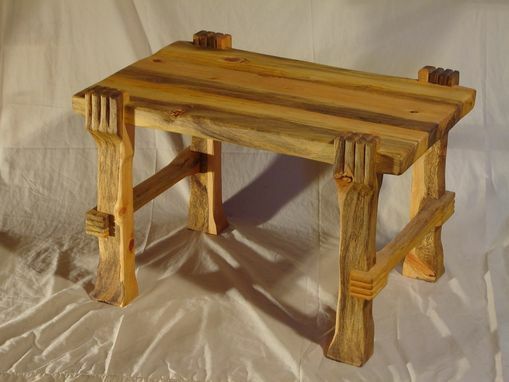 This rustic primitive piece was made from native spalted ponderosa pine. Owning a sawmill allows us to see projects like this start in the forest all the way through the finished project. 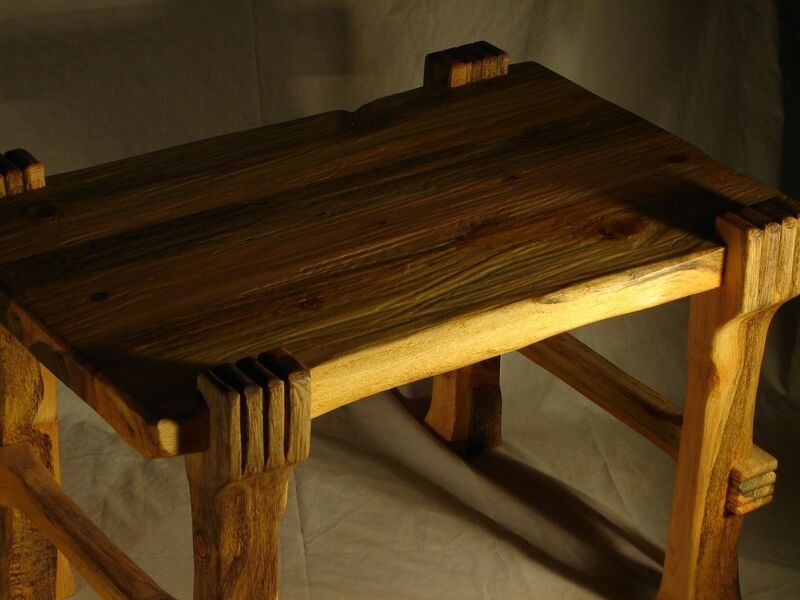 Of course it was built with traditional joinery and there are no metal fasteners used. 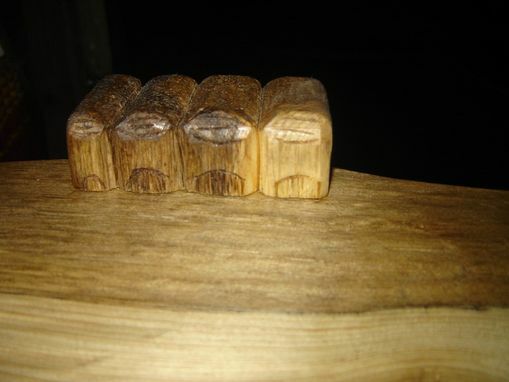 The hands are hand carved and all surfaces are hand scraped before a final sanding.